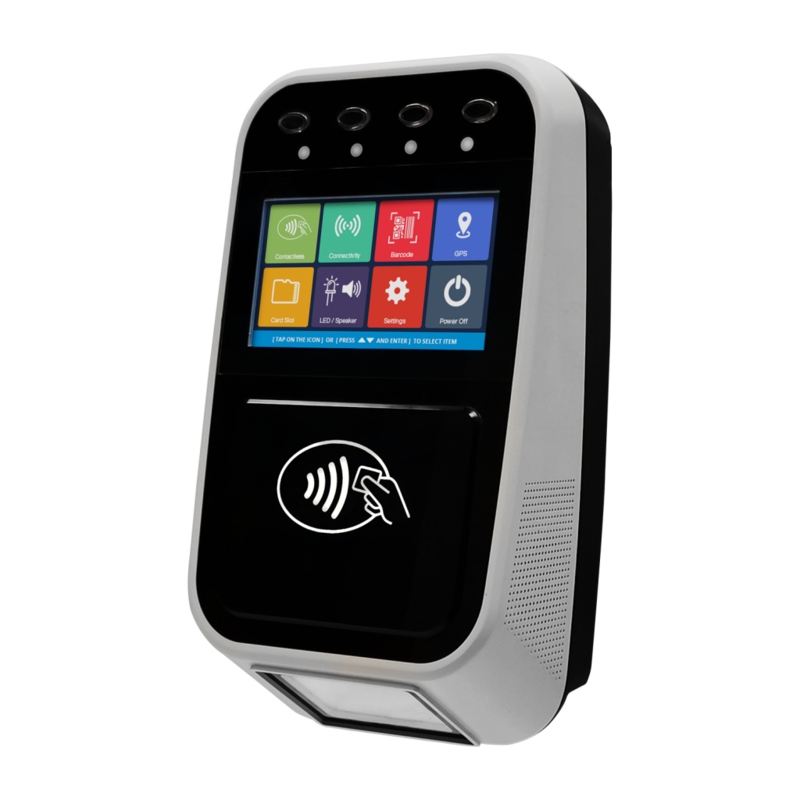 The ACR330 is designed specifically for Automatic Fare Collection (AFC) systems, to offer the convenience of cashless payment in buses, ferries, trams, railways and other transportation modes. ACR330 enables high-speed transaction processing and transaction records collection through 13.56 MHz contactless (RFID) technology. It supports all smart cards/tags compliant to ISO 14443 Type A & B, and MIFARE®. An embedded barcode scanner allows transaction through print or mobile barcodes. ACR330 supports various advanced connection modes for data transfer, including Wi-Fi, 3G/4G, GSM/GPRS and supports USB thumb drive for data collection. It is also equipped with GPS to help locate vehicles, manage fleets and set flexible, distance-based fares. The ACR330 comes with an optional back mount to hold the bus validator on the pole.